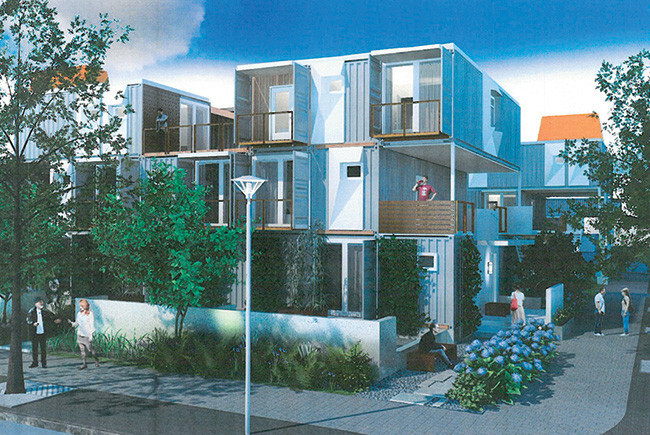 Rendering shows shipping containers as housing. The 3rd annual Florida Tiny House and Music Festival took place this weekend in St. Johns County. Event organizer John Kernohan drove around the St. Johns County Fairgrounds in a golf cart inspecting explaining what is available to see this year. What do a billionaire real estate mogul, a wealth management executive and a Republican congresswoman have in common? Living and working in South Florida, they share concerns about the impacts that a changing climate — and rising seas — may pose to the area and its economy.